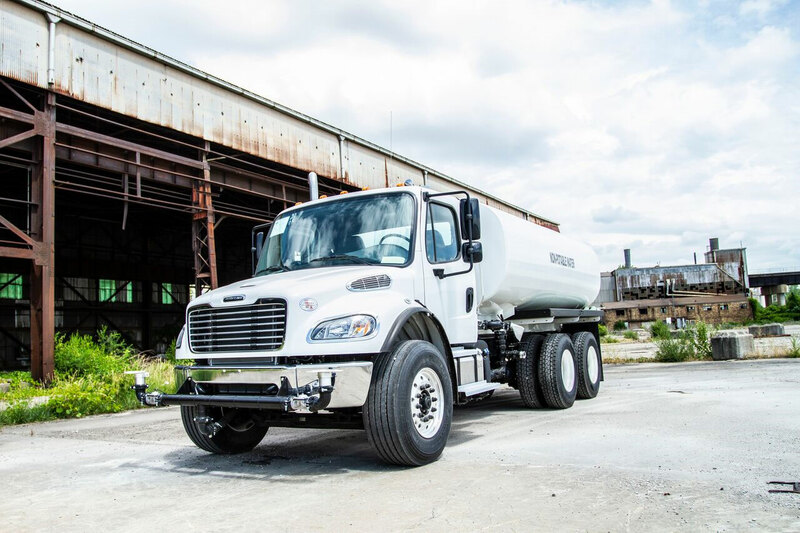 Load King’s 4,000-gallon water truck is the larger of the two models, measuring 198″ long x 96″ wide x 64.75″ tall. Both models are built with a modified eclipse shape out of A36 steel. 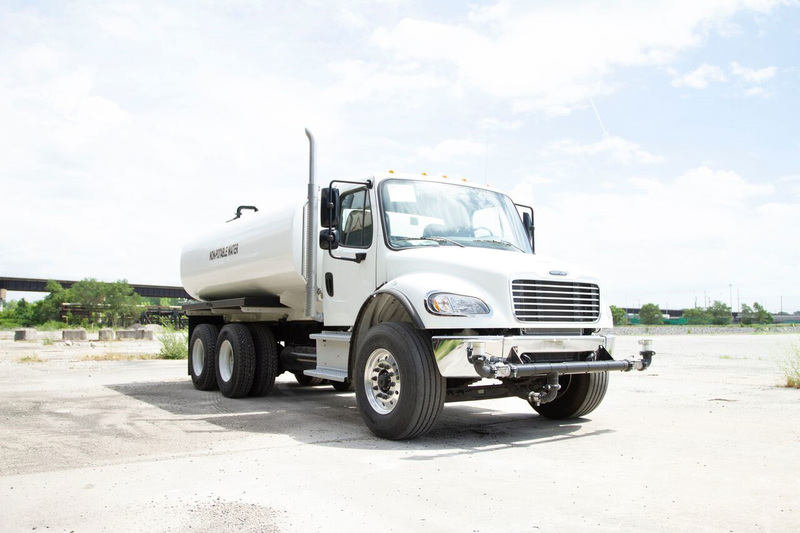 You can purchase or rent water trucks on a variety of chassis brands and models. Independently operated air spray valves. GatorHyde spray liner on rear fender / hose tray. A36 steel, domed flanged tank ends. 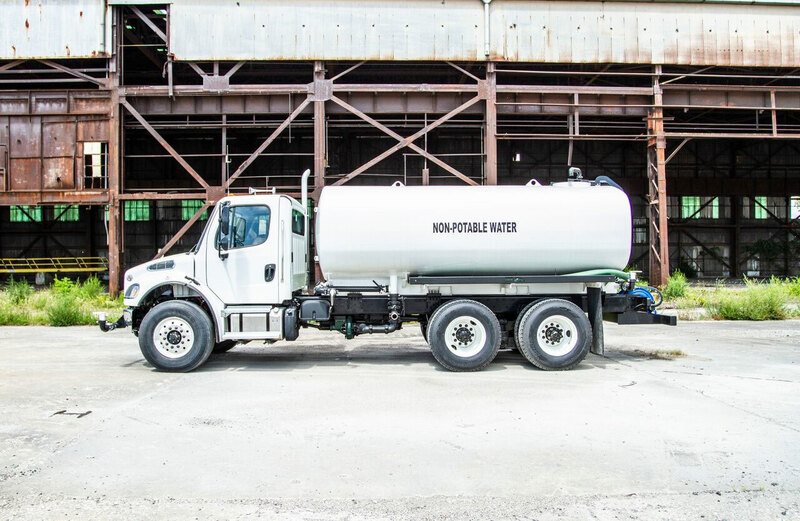 1-1/2" x 50' Manual hose reel mounted at rear of truck, with 50' hose and adjustable nozzle.